This product can only be purchased or downloaded from the App Store. 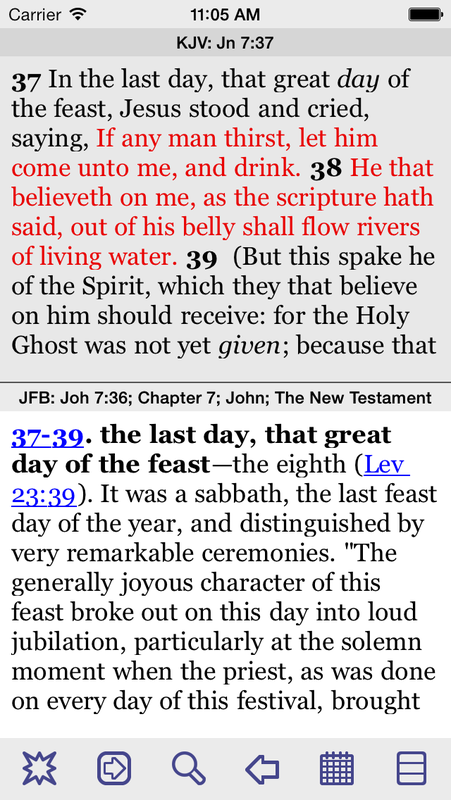 Click to find PocketBible on the App Store. 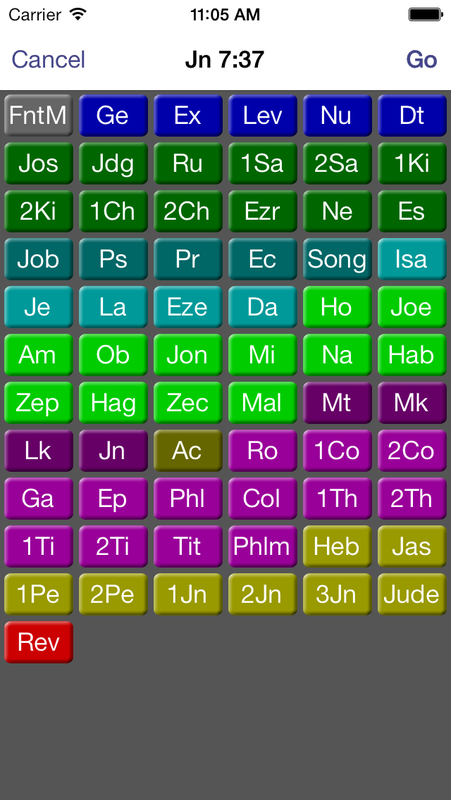 PocketBible is more than just the Bible on your phone. 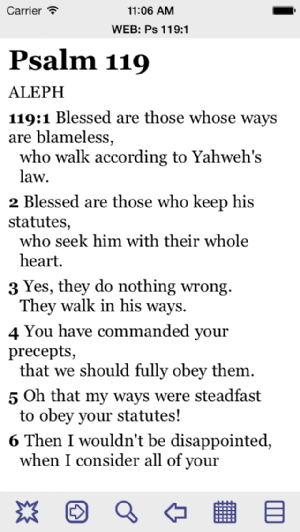 It is the gateway to a library of Bible reference materials and devotional books. It is the repository for your notes, highlights, and bookmarks. 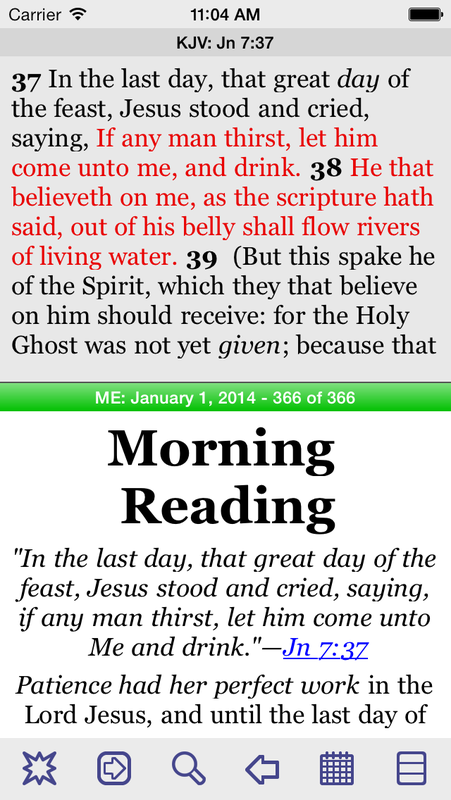 It is your motivation for daily reading of the Bible. 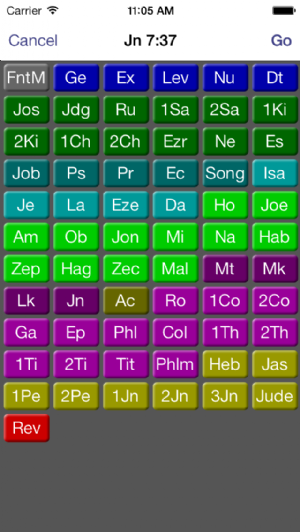 PocketBible is full-featured software designed to help you read and study the Bible on your iPhone, iPad, or iPod touch. The free version has the following features. Additional advanced features are available for a nominal upgrade price. 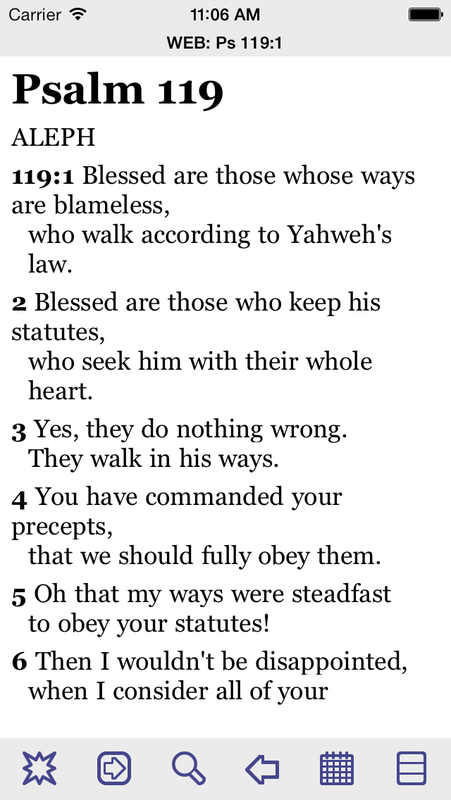 Read and study the Bible anywhere. 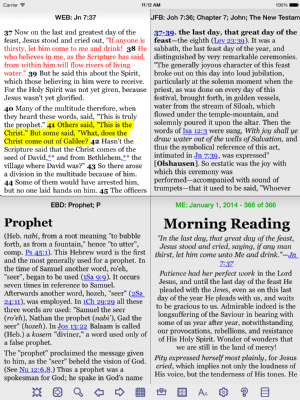 Unlike other Bible apps for your iPhone, no Internet connection is required once you've downloaded your Bibles and books onto your device. Quickly find any passage using one of three different book/chapter/verse choosing mechanisms depending on your preferences. Search for words, phrases, combinations of words using AND/OR and other operations. Keep track of what you learn by taking notes, highlighting passages, and setting bookmarks. 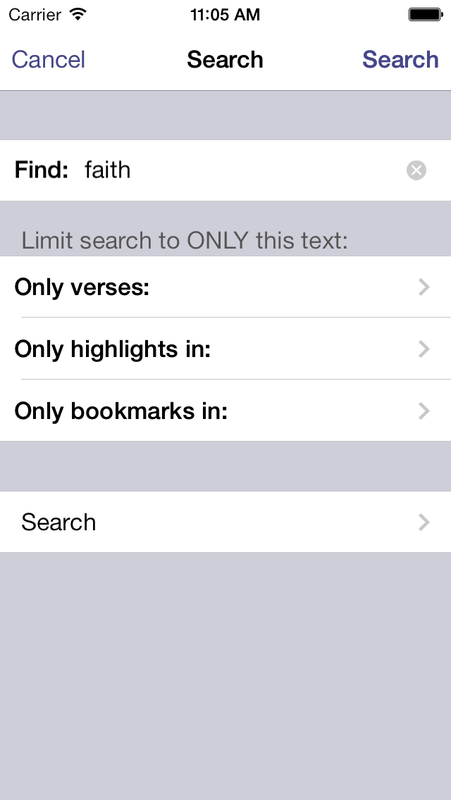 Bible references in your notes are automatically linked to the Bible. Bookmarks can be categorized into any number of user-defined categories. 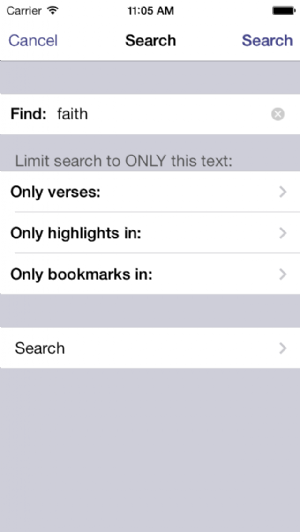 Easily send Bible verses to email and SMS recipients. 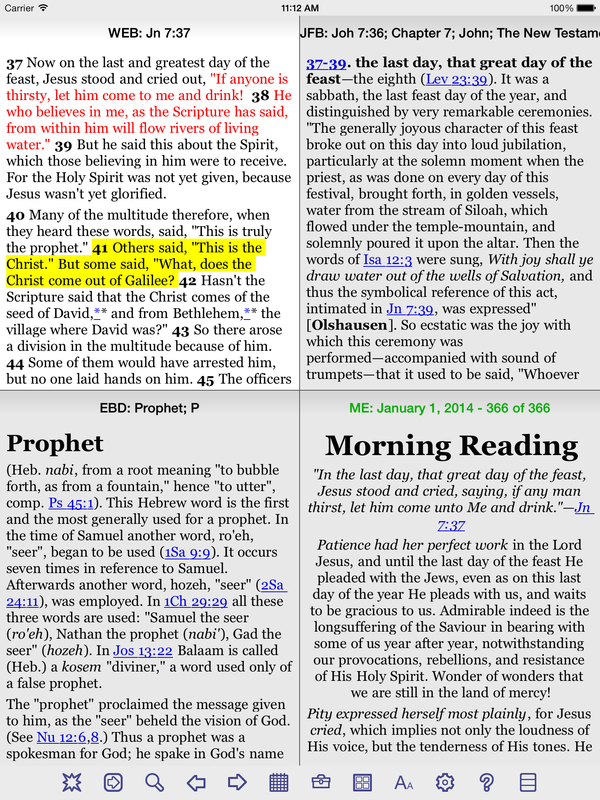 Copy verses to the clipboard and from there to other applications or your PocketBible notes. Add more Bibles and reference books from the built-in bookstore or by purchasing them from our website. 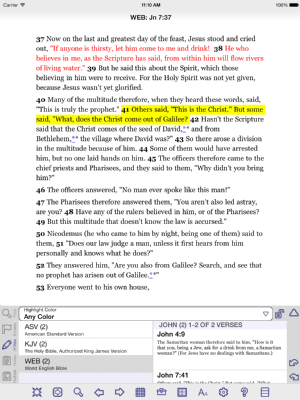 View multiple books at the same time. 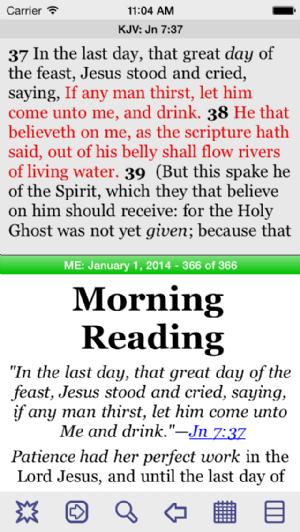 Track your daily reading progress as you read devotionals and through-the-Bible reading plans. Synchronize your notes, highlights, bookmarks, and daily reading progress with the Laridian Cloud automatically, and from there to your Windows PC or your other iPhone, iPad and iPod touch devices. 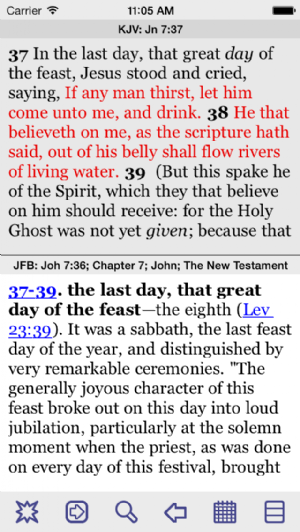 As downloaded from the App Store, PocketBible will come with one Bible. 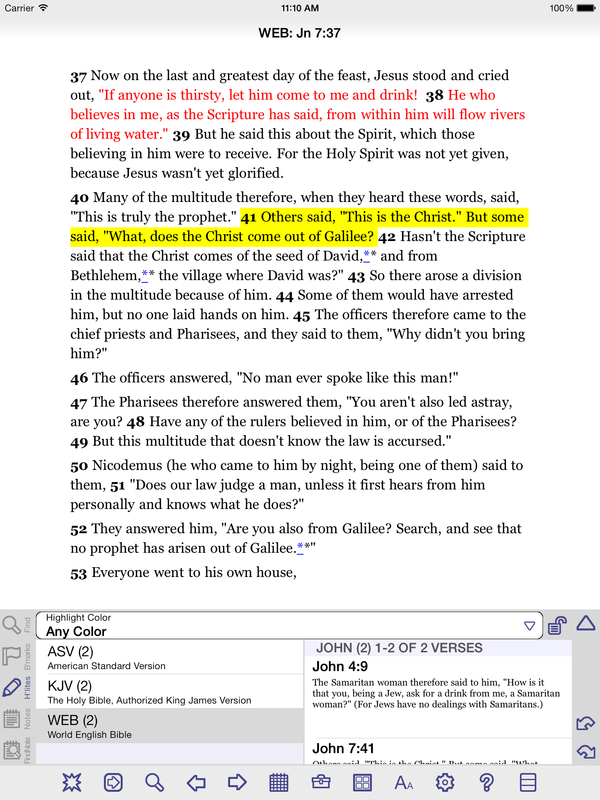 Additional Bibles and reference books included in this product are downloaded from our server from within the application once you've installed it. Requires iPhone, iPod touch, or iPad running latest version of iOS.